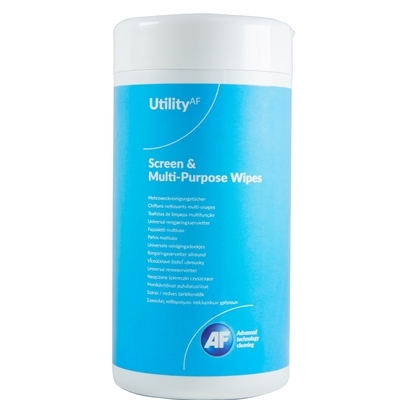 A tub of simple wet wipes for everyday grime removal from screens and surfaces. 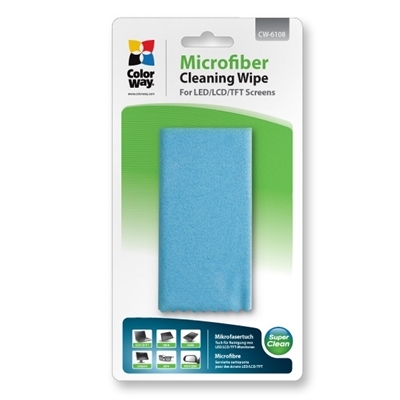 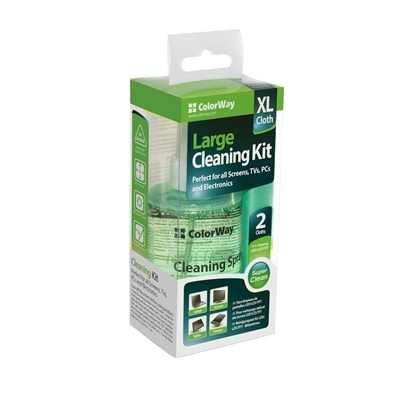 A re-sealable tub of..
Our microfiber cleaning wipes are coated with our uniquely formulated anti-static and antibacterial ..
Key FeaturesWe are proud to offer the next generation of cleaning cloths! 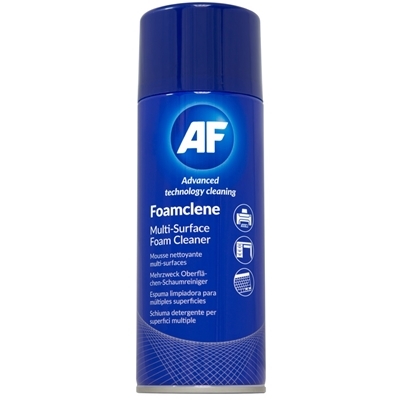 Our specially designed fab.. 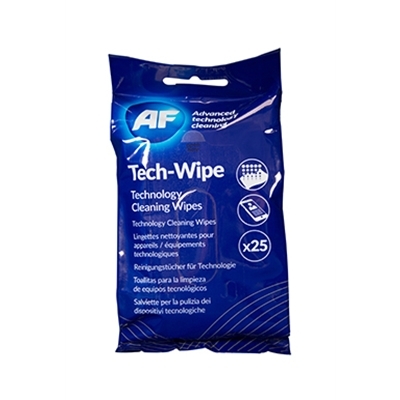 Wet wipes are perfect for cleaning dust, dirt and fingerprints without and trace of streaking, spott.. 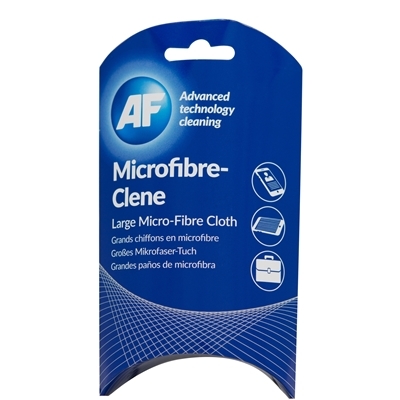 The unique Microfiber combines up-to-date materials and innovative technology of ultra-dense weaving..
AF Easy-Clene cloth was specifically developed to provide a cleaning solution for the more delicate .. 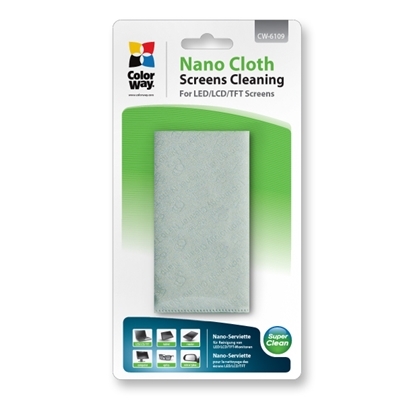 This super strong lint free, washable cloth is the ideal solution for cleaning all forms of smart te..
A basic screen cleaning solution in easy to use pump spray bottle. 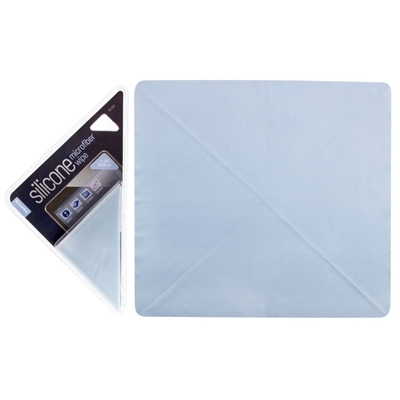 For use on a variety of screens i..
Exceptionally soft and washable cleaning cloth for removal of dust and greasy marks from all touchsc.. 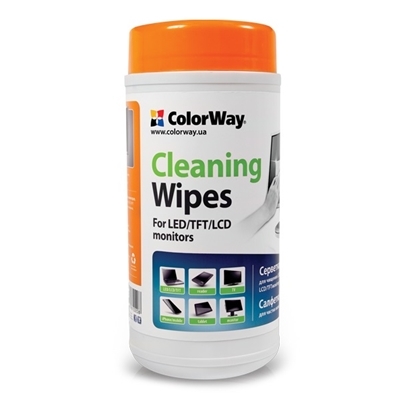 Ever thought about how many finger prints are on your smartphone or tablet? 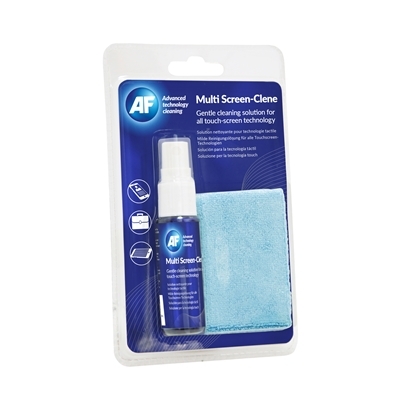 AF technology wipes are ..
Cleaner with napkin for LED/LCD/TFT and other types of screens. 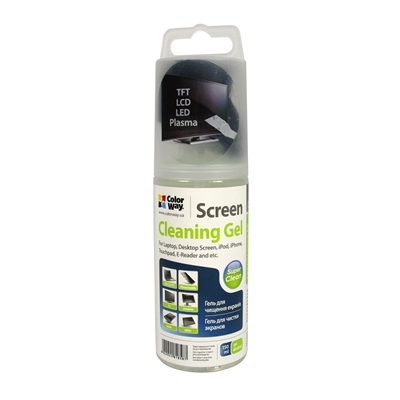 Special composition of cleaning gel ..
A non-invertible economy flammable sprayduster designed to tackle dust and grime from hard to reach ..
Our simple, easy-to-use screen and monitor cleaning kit is perfect for anyone who wants to keep the ..
Foamclene is an anti-static multi-surface foam cleaner. 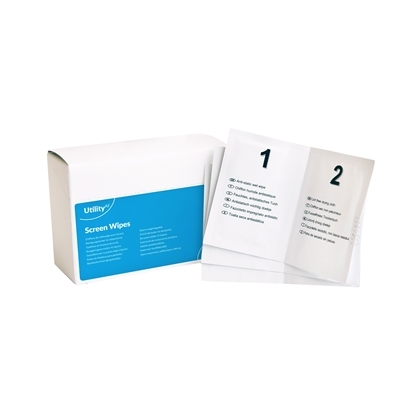 A powerful formulation that lifts grease and..
A value pack of wet and dry screen cleaning duo wipes for the removal of smears and dirty marks from.. 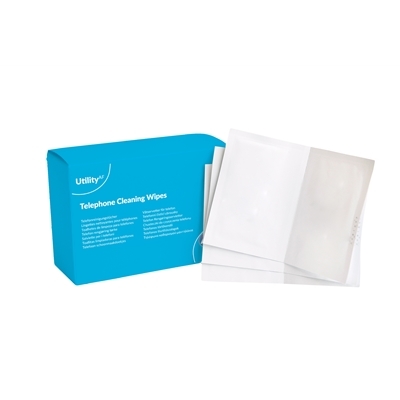 Simple wet telephone wipes for removal of dirt on plastic surfaces of telephones. 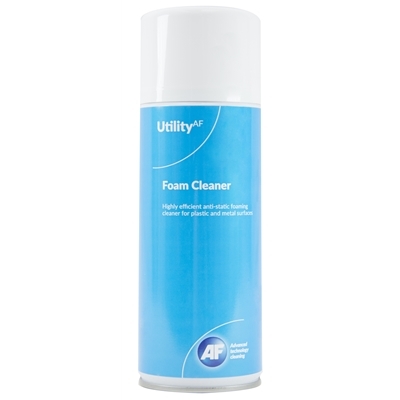 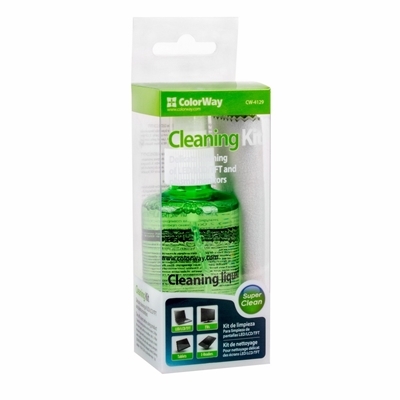 Box contains 20 in..
A basic foam cleaning solution for general purpose/workstation surface cleaning. 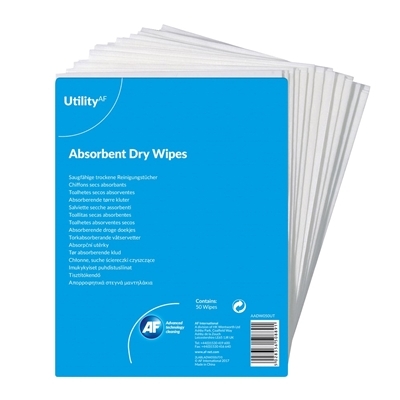 For use with ADW050..
A pack of 50 budget dry wipes, perfect for cleaning common spillages in the office environment. 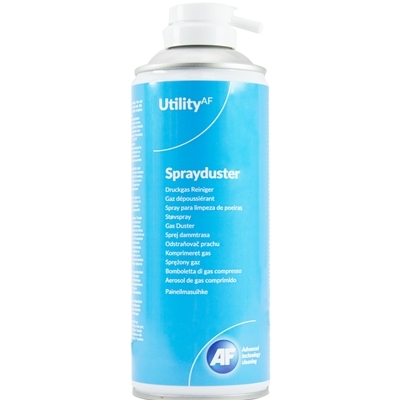 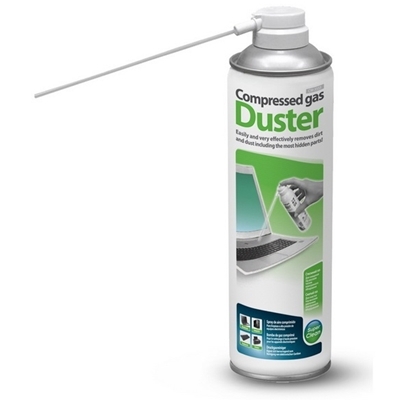 Idea..
Compressed gas duster in a compact can, designed for fast and effective cleaning of hard to reach pl.. 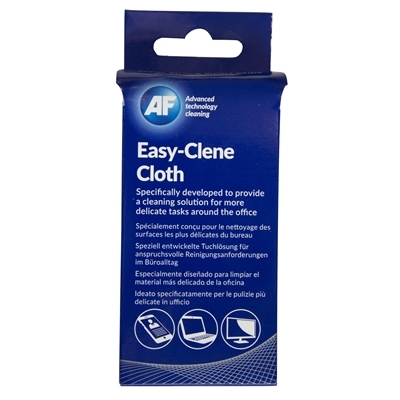 This multi screen clene really is all in the name. 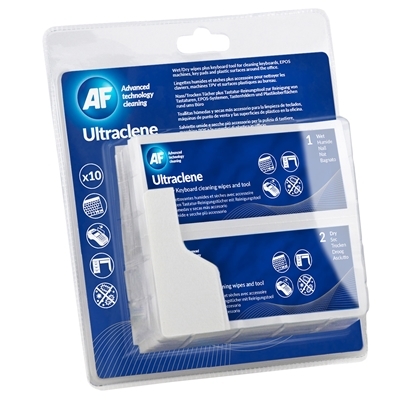 Multi screen clene in a travel kit to ensure you .. 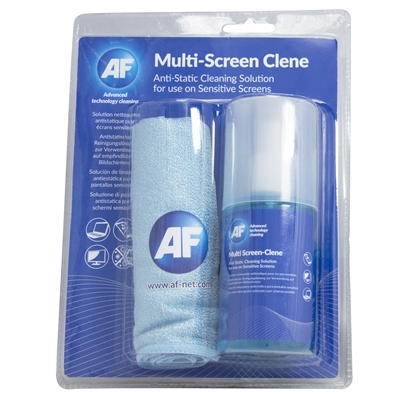 This multi screen clene really is all in the name. 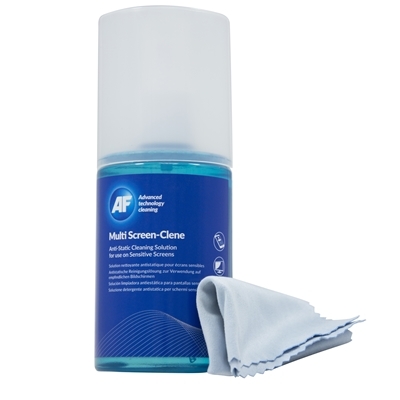 A non-flammable, anti-static cleaning solution to..
- The kit is intended for cleaning screens and monitors all types and sizes. 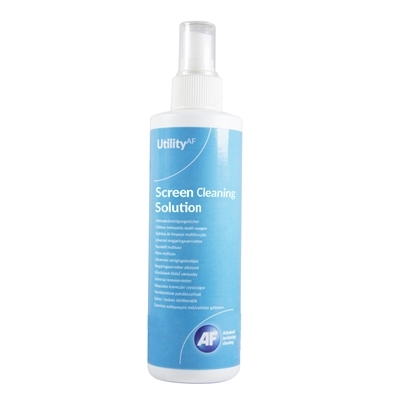 Ideal for computer, off..
A non flammable, anti static cleaning solution to ensure your screen is 'smear free'. 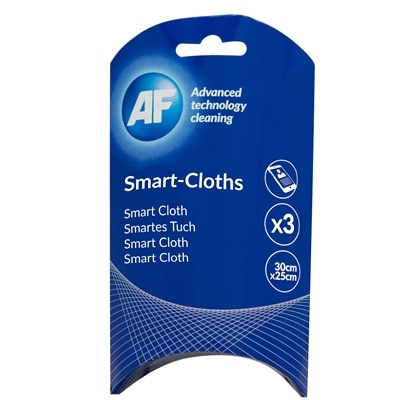 Includes an AF..
What would you do if you dropped your tech in water? 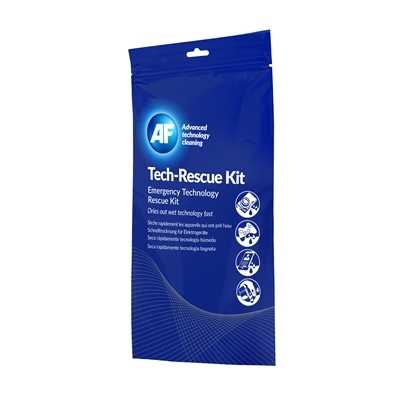 An AF Tech Rescue Kit is a must have reliable p..